This hoped for distinguished body would convene to mark the great man’s 100th, and is sponsored by California Tax Payer’s friend Elton Gallegly. 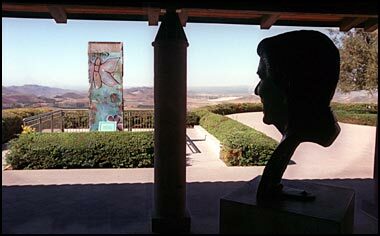 The Simi Valley Republican represents Reagan’s relics at the Reagan Library, and is of course a scourge of government waste, fraud and abuse. The Reagan salute would come in at a million dollars. 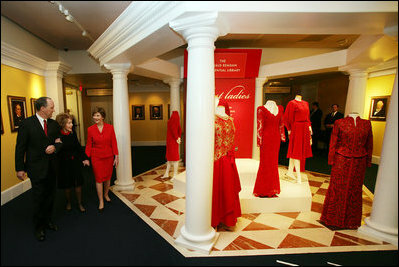 Gallegly’s proposed commission would be dominated by the Reagan Library, who after recently staging elaborate displays celebrating Nancy Reagan’s gowns, Reagan’s letters to Nancy, and a kids exhibit inviting tykes to re-invade Grenada would appear to have the cash to do it themselves. 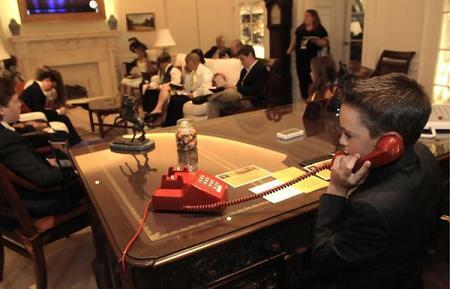 This entry (permalink) was posted on Sunday, February 22nd, 2009 at 4:51 PM by mr.president and categorized in AMERICAN HISTORY, AMERICAN PRESIDENTS, HISTORY IN THE NEWS, NANCY REAGAN, PLACES & THINGS NAMED REAGAN, PRESIDENTIAL HISTORIAN, PRESIDENTIAL HISTORY, PRESIDENTIAL LIBRARY, PRESIDENTIAL MARKETING, PRESIDENTIAL SITES, PRESIDENTS OF THE UNITED STATES, RONALD REAGAN, UNITED STATES HISTORY, US PRESIDENTS, WHITE HOUSE HISTORY.